One of the best examples of the genre. Like their Californian peers L.A. 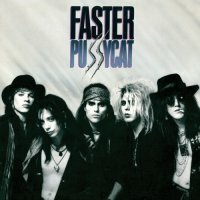 Guns, glam icons Faster Pussycat were completely overshadowed by the runaway success of Guns N' Roses 'Appetite For Destruction' album when they released their debut album in the same month as that multi-platinum monster. Also in parallel to Tracii Guns mob, even though they had more success with the sleeker second album, it was the rougher tones of the debut that fans now identify as the true sound and style of the band. Formed by Cathouse owner Taime Downe in 1985 with a line-up that originally included erstwhile L.A. Guns bassist Mick Cripps, the band eventually evolved to include bassist Eric Stacy and drummer Mark Michals, as well as the final pieces in the puzzle, guitarists and songwriters Greg Steele and Brent Muscat. The songs were simple, catchy and full of attitude, Downe's screechy vocals perfect for their Hanoi Rocks/Rolling Stones-influenced raucous rock and roll. It's generally thought that all the big hitters are in the first half of this album, with the singles 'Don't Change That Song', 'Bathroom Wall' and the Beastie Boys go glam hilarity of 'Babylon', but I actually like the tunefulness of the Downe/Muscat co-writes, the bluesy Aerosmith vibe of 'No Room For Emotion', the shuffle beat of 'City Has No Heart' and caustic lyrics and killer riff of 'Bottle In Front Of Me'. 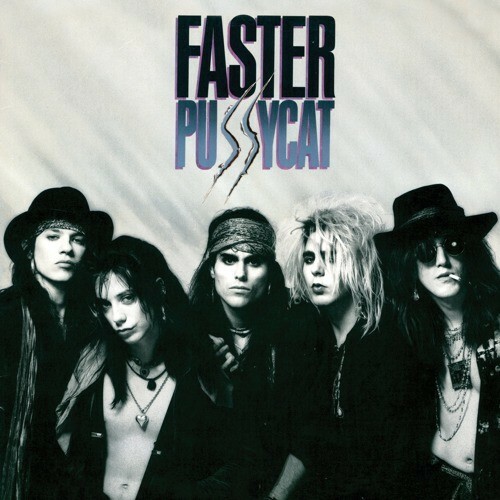 The fairly straight-forward 'Cathouse' and 'Ship Rolls In' could be the Quireboys at their most lively, with only 'Smash Alley' failing miserably by regurgitating one of their earlier riffs and lacking a hook. With a suitably raw production from Ted Nugent/Poison alumni Ric Browde, it's painfully obvious that the band members declined to contribute to Dave Reynolds sleeve essay as all the quotes are either from archived Kerrang interviews or from Browde himself. I'm not sure of the point of a remaster of an album that's supposed to be so crunchy, but it's out and is one of the best examples of the genre.